Terrific Tomatoes: Top Ten Tips! | Gardens Alive! Here's How to Grow Your Tastiest Love Apples Ever! Q. Mike: What is the best time to put tomato plants in the ground? Mr. Mike: Right now my tomato plants are about 8 inches high. I want to work them up into getting used to the outside; how exactly should I do this? Mike: My wife and I recently bought a tomato plant—our first attempt at growing something to eat! Its about two feet high and seems to be standing okay, but most gardens I see use stakes to help the plants stay up. Should we do the same? Thank you. ---Ray and Melissain Plainsboro, NJ, just across Route 1 from Princeton. I have some crushed oyster shells left over from making rock for my salt water aquarium, and was wondering if they would serve the same purpose as the eggshells you always recommend when planting tomatoes. A. Thanks, all! This is the perfect time of year for me to help get everybody's tamata plants off to a great start, so I'm going to answer your questions—and more—with my Top Ten Tips for Terrific Tomatoes! 1. Thin them out! This is the hardest thing to do in gardening, but if you leave more than one plant in each pot, none of them will thrive. If you're good at this kind of thing, use a sharp knife to cut through the root mass, then pot each one up again separately. (Don't try and pull them apart!) A safer bet is to snip off the weakest ones with a little pair of scissors. Lose the ones with the thinnest stalks—unlike us, thick stalks are good. 2. Don't rush the season! Actual frost isn't the only consideration. Tomatoes are tropical plants that don't like to catch a chill. So don't even think about planting them outdoors until night time temps are in the fifties. My 'last average frost date' is May 15th (find yours online or contact your local county extension office), but I often wait until June 1st if Spring has been a little slow. 3. 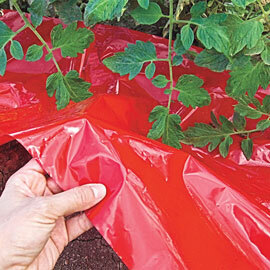 'Harden off' your tomatoes before you plant them. Take the potted plants out in the morning, water them well, place them where they'll get some sun and then bring them back inside that evening Repeat this for a few days, ideally, increasing the amount of sun they'll get each day. Then leave them out all night for another couple of days (unless overnight temps drop below the mid to high forties, then bring them back in—tomatoes have very little sense of humor about these things). Don't neglect this step! Plants that go right from a warm home or greenhouse into the unpredictable outdoors often suffer severe early season setbacks. 5. Pick the proper spot. Before you put your tomatoes in the ground, take a good look at their potential planting areas and give them the site that gets the most morning sun, so the wet-with-dew plants can dry off first thing in the morning; it's a great way to prevent disease problems before they start. 6. Rotate your crops. Speaking of disease, you should also try and plant your tomatoes in a spot where tomatoes have not grown the past couple of years. If that's impossible,remove as much of the soil as you can and replace it with a mix of half compost and half topsoil—or half garden soil from tomato free areas. 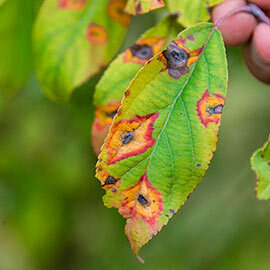 Otherwise, your plants may wilt from a common disease that builds up in soil where tomatoes are frequently planted. If that's already happening and you've already used every possible and/or potential planting plot, try growing in BIG containers (at least 12 to 15 inches across). 7. Space them far apart. Be sure to give your precious plants LOTS of room. Those little starts will eventually produce vines that are ten to fourteen feet long. Plan for that FULL size now, otherwise the plants will be too crowded and disease will take its toll. 8. Cage them. Surround each plant with a big cage so the tomatoes don't lay on the ground; and stake the cage so those big vines don't pull it down. Tomatoes are vines—they don't grow-up right naturally—so you have to provide good support. Those flimsy little things they sell as 'tomato cages' won't do the job. Make a four or five foot high circle out of sturdy animal fencing instead. 9. Bury them DEEP! Tomatoes are unique in that any part of their stem buried in the ground will grow auxiliary roots to take up more water and nutrients. So, be brave, pull off the bottom leaves and bury a good two-thirds of the plant underground. You heard me! All you need is two to three inches above ground. And always plant in the evening, never in the morning; you want to give your tomatoes time to get acclimated before they experience a full day of burning sun. 10. Compost against disease! When you're all done, spread an inch or two of your highest quality compost over the surface of the soil under your plants. This will prevent weeds, feed your tomatoes, and—perhaps more importantly—the billions of living organisms in that compost will prevent dread diseases from attacking your plants.